What is Bitcoin Cash, and how is it different from Bitcoin? This is by far the question we get asked here the most, and it’s no surprise. With the massive surge in mainstream adoption of Bitcoin (and cryptocurrencies as a whole) over the past year, it’s understandable that people raise their eyebrows when the names of first and fourth biggest cryptocurrencies are so similar. Bitcoin Cash (BCH) is a fork of the original Bitcoin (BTC). In the crypto world, a fork is when the blockchain of a cryptocurrency splits in two and a new cryptocurrency is created. Generally, the protocol of the new cryptocurrency is be a slight modification of the original. Bitcoin Cash forked from Bitcoin (known as “Bitcoin Core” amongst Bitcoin Cash supporters) in mid-2017. The fork was the result of a long-standing disagreement over the block size limit of Bitcoin. The original Bitcoin specification written by Satoshi Nakamoto in the late 2000s laid out a 1 MB block size limit, but didn’t state that this could never be changed. For those who are totally new to cryptocurrencies, a block is essentially a batch of transactions. Because the rate of Bitcoin block creation stays roughly constant at one every ten minutes, the most obvious way to increase the amount of transactions the network can process is to increase the number of transactions per block. This is what happened in mid-2017. The original Bitcoin stuck with the 1 MB block size limit, while Bitcoin Cash increased it to 8 MB. The result was that Bitcoin Cash could process more transactions per hour and transaction fees were lower. Of course, increasing the block size also has its downsides. The main argument against it is that it means the network will be less decentralized because bigger blocks mean less successful miners. Another potential problem is that it increases the upstream capacity needed to run a node. Luckily, these problems haven’t manifested themselves in any tangible way, and the network is in good shape. Now that the Bitcoin Cash has been around for a while, and the price volatility of late 2017 and early 2018 appears to have settled down, it’s a great time to get into it. 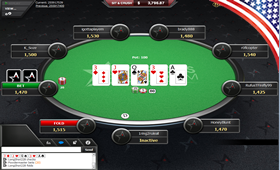 America’s Cardroom, or ACR, is one of the most popular US online poker rooms. It recently started accepting Bitcoin Cash, which means you’ll get all of the benefits of playing at a big-name poker room while still being able to use Bitcoin Cash. Probably the biggest of these benefits is the size of the player pool. At crypto-only poker rooms, you’ll may struggle to find games running, especially at off-peak hours. However, at ACR, games run around the clock, due to it being part of the massive Winning Poker Network. Another huge benefit is the large selection of games on offer. You can play cash games, Sit & Go’s and MTTs in No-Limit Hold’em, Pot-Limit Omaha and Seven Card Stud. As you’d expect from such a large poker room, their MTTs often attract players in the thousands thanks to their large guarantees. They also feature a lottery format called Jackpot Poker, where you and two other players will compete for a randomised prize pool of up to 2,500x the buy-in. To get started with ACR, head to Americas Cardroom. New ACR cryptocurrency customers get a generous 200% First Deposit Bonus up to $1,000. If you’d like to learn more, you can email support@americascardroom.eu, phone 1-877-314-4195 or speak to a customer service agent using their live chat service. For more information, read our Americas Cardroom BCH poker review. FortuneJack is one of the best-known and most reliable crypto casinos out there. Originally just a Bitcoin casino, FortuneJack now accepts Bitcoin Cash as well. What attracts customers to FortuneJack is its huge variety of games. There are five main categories: Dice, Casino, Live Casino, Blackjack and Financial Betting. 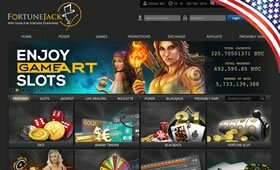 In the Casino category, you’ll find all kinds of online slots and traditional casino house games from companies like NetEnt, Microgaming and Evolution Gaming. If you’ve heard of it, the chances are you can play play it on FortuneJack. In the Live Casino category, you can play traditional casino games run by a live dealer in front of a camera. This offering really sets FortuneJack apart from the competition, as most crypto casinos don’t offer this. ​The website is well-designed, sporting a dark grey and gold colour scheme and responsive controls. Its easy to navigate, with the different games and game types clearly signposted to help you find the right one for you. In the many, many hours we’ve spent on the site, we’ve never encountered any downtime or technical difficulties. New users are eligible for a First Deposit Bonus worth 110% of the deposit up to 1.5 BTC. For full information on all promotions, visit our FortuneJack BCH casino review. 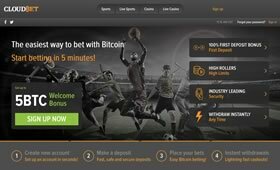 CloudBet is easily the most professional cryptocurrency gambling operation out there at the moment. It used to be Bitcoin-only, but has recently started accepting Bitcoin Cash too. At CloudBet, you can bet on a huge variety of sports, from mainstream sports like association football, American football and MMA to more obscure sports like pesäpello and beach soccer. As well as the Sports section of the site, there’s also a Live Sports section where you can bet on matches as the action unfolds. This is a great feature you can’t find on most other crypto sportsbooks, and is a great way to immediately dive into the action. The website itself is well-designed, featuring a dark colour palette which is easy on the eyes (perfectly for some late-night betting!). Be warned though: it packs a lot of information onto the screen, so if you’re new to sports betting, you may find it a bit overwhelming. New CloudBet customers get a 100% First Deposit Bonus up to 5 BCH. To sign up and claim your bonus, head to CloudBet crypto bookie. On top of this, CloudBet features a generous loyalty scheme that rewards frequent players with points that can be redeemed for free bets. If you need any assistance, or would like to learn more, you can email the support team at support@cloudbet.com or read our CloudBet BCH sportsbook review.